At some point, we have all wanted to move our email accounts and mails over to another computer. Unfortunately, Mail doesn’t make it very easy to do but, it is possible. You can watch the screencast here or continue reading after the jump. 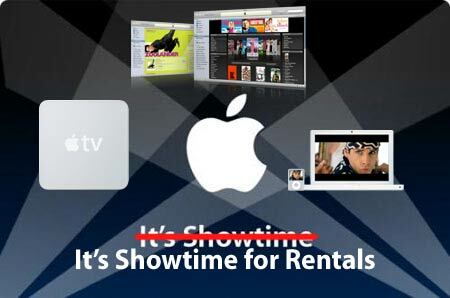 Todays article is about the rumored iTunes movie rental service. Arguably the second biggest rumor lined up for Macworld this year, the iTunes Movie Rental service has been rumored to appear since full featured movies on iTunes became official. Presently, you can purchase approximately 1000 full length movies at prices ranging from $9.99~$14.99, including DRM. While this is great, the quality is nothing to write home about- nor is the price especially, versus a DVD. The DRM certainly doesn’t make the deal either. Movies and TV Shows aren’t really comparable to music, in terms of their use. While Jobs advocates for the users owning their digital music, videos are different from music. You may watch a TV show once maybe, twice. You might watch a movie a few times more- or you might not. On the other hand, music you listen to time and time again. Currently, iTunes only allows for the outright purchase of media. I think for the future Apple is considering rentals as an option, certainly for video content. It makes far more sense to be able to rent videos. Not only is it cheaper but, it is already a successful industry! However, the digital rental market is far from crowded. With its large content selection and huge user base, the iTunes Movie Rental Store already has potential. Rentals could allow Apple to solve the problems to a number of existing iTunes issues. First being the high prices of iTunes Movies and TV Shows! Secondly, it could allow users to get better quality movies, depending upon the technologies they use such as streaming. Finally, Apple could put a real use to the HD-ready AppleTV- watch and rent movies from your couch or even from your iPhone or iPod Touch!! But, who knows specifically how Apple will handle it. They could have you download a the video, and have it expire (through DRM) within 24 hours (or set period of time) after its first play. Or they could stream it to you, but how would they judge the 24 hours? There is also speculation that the rentals could be for a 30 day time period. Whatever length, transferring large, potentially HD movies is tricky because everyone is on a different speed internet connection and, naturally some are faster than others. The major questions remains- which studios would first join? Many are speculating FOX, and of course, Disney. Lots of questions with little backing or answers. Macworld will tell.